Unicorn floats, sunscreen, frozé, and… turn up the heat on your business while you chill poolside! Summer Creativefest! 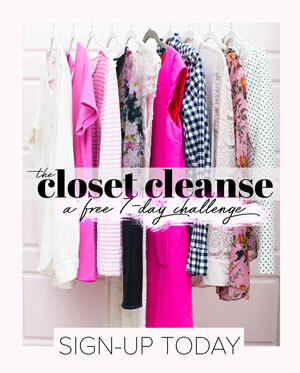 What if I said you could take your Business and brand from blah to b-e-a-u-tiful without sacrificing the summer fun? 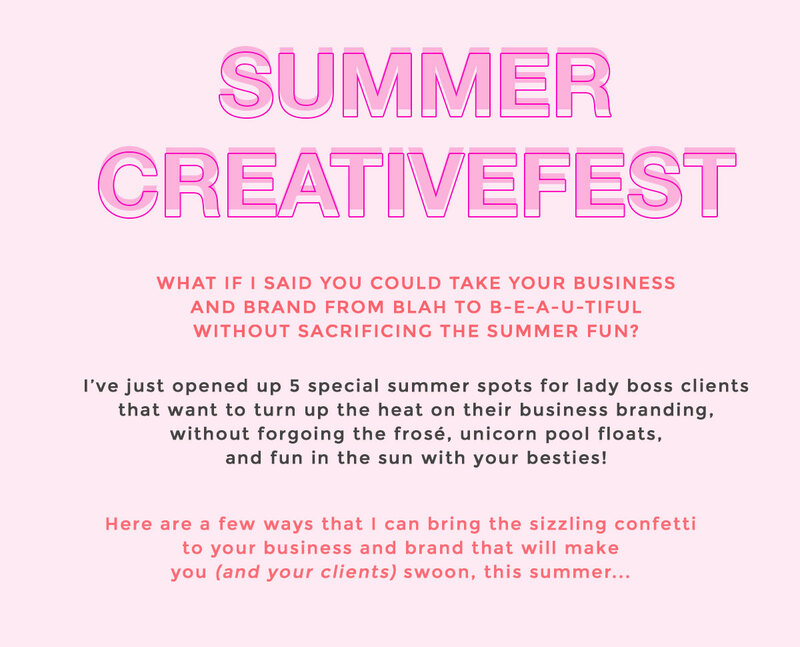 I’ve just opened up 5 special summer spots for lady boss clients that want to turn up the heat on their business branding, without forgoing the frosé, unicorn pool floats, and fun in the sun with your besties! 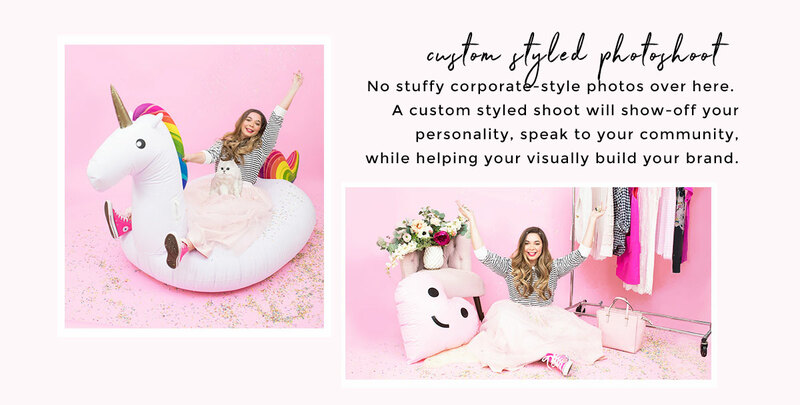 Here are a few ways that I can bring the sizzling confetti to your business and brand that will make you (and your clients) swoon, this summer… Custom styled photoshoot: no stuffy corporate-style photos over here. A custom styled shoot will show-off your personality, speak to your community, while helping your visually build your brand. 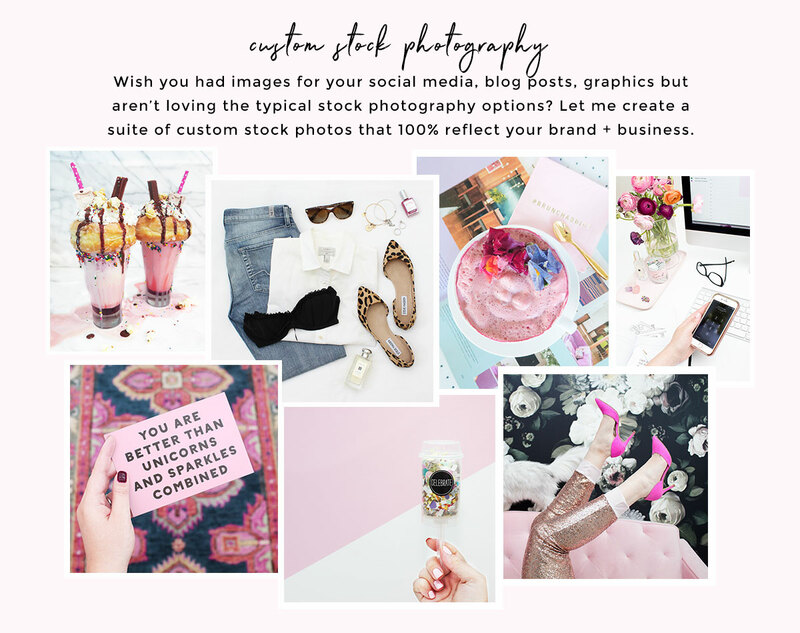 Custom stock photography: wish you had images for your social media, blog posts, graphics but aren’t loving the typical stock photography options? Let me create a suite of custom stock photos that 100% reflect your brand + business. 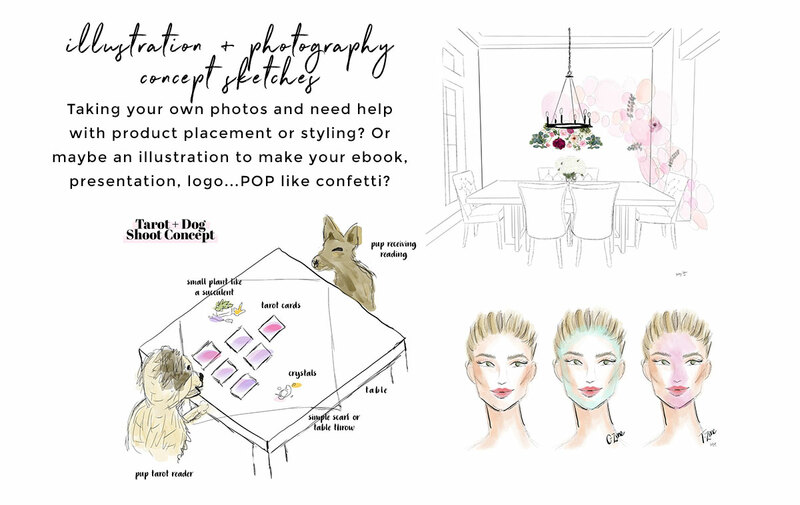 Illustration + photography concept sketches: taking your own photos and need help with product placement or styling? Or maybe an illustration to make your ebook, presentation, logo…POP like confetti? 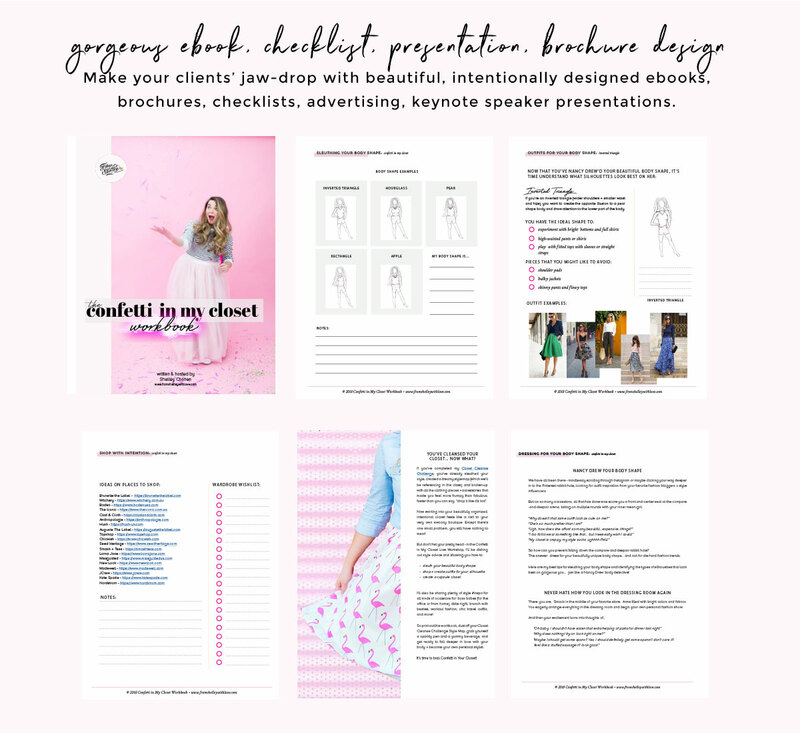 Gorgeous ebook, checklist, presentation, brochure design: make your clients’ jaw-drop with beautiful, intentionally designed ebooks, brochures, checklists, advertising, keynote speaker presentations. 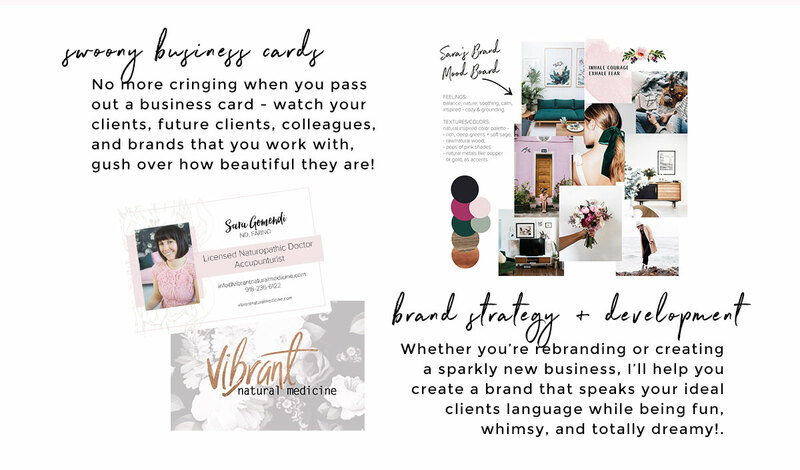 Swoony business cards: no more cringing when you pass out a business card – watch your clients, future clients, colleagues, and brands that you work with, gush over how beautiful they are! Brand strategy + development: whether you’re rebranding or creating a sparkly new business, I’ll help you create a brand that speaks your ideal clients’ language while being fun, whimsy, and totally dreamy! OMG inducing stop motion video production: stop-motion videos is a fun and creative way to tell a story. You can use them on your website or social media platforms. Video is one of the top converting forms of media right now. I’ve been creating, shooting, and editing video for 4-years – whether it be for my YouTube Channel which currently has 8.8 million views and almost 22k subscribers, my online classes, or video ads I run on Facebook, the response is always amazing. From concept to final product, I can help you creatively convey your message + brand in a super fun way! 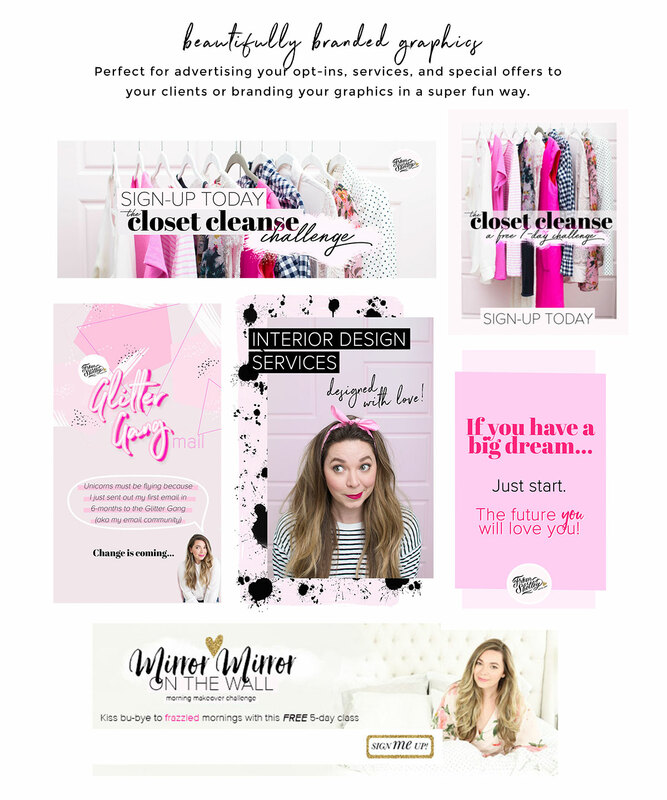 Beautifully branded graphics: perfect for advertising your opt-ins, services, and special offers to your clients or branding your graphics in a super fun way. Need a shiny new website and a business rebrand, love? I’ve gotchu! I’ll look at your business through a creative lens and collaboratively develop a brand strategy, style, and website that’s going to differentiate you from the other businesses in your industry while attracting the clients you most want to work with. Glitterwand waved! Website rebranding packages include a custom swirl of the above individual elements – depending on your business sparklification needs. 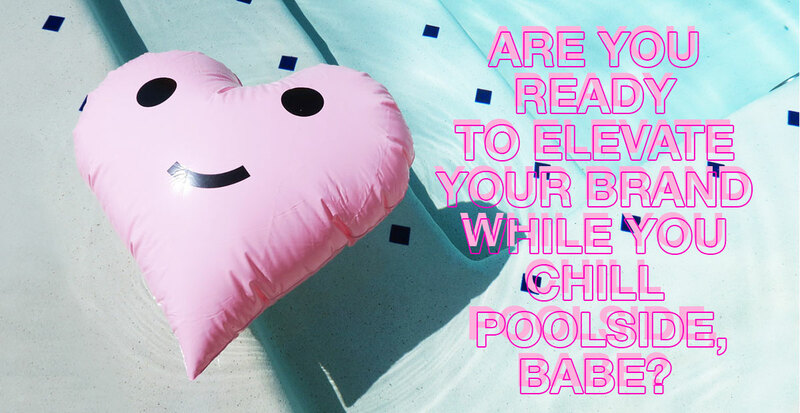 Are you ready to elevate your brand while you chill poolside, babe? Click the button below and tell me… A little about how I can help you turn up the heat on your business branding project this summer. And I’ll customize a Creativefest Summer Branding Pretty Plan for you, lovely lady! I’m super excited to announce these new creative direction services. Think of me as a one-stop-creative-agency! If you’re looking for creative design help with something I haven’t mentioned, feel free to hit me up with your project, and I’ll give you my honest feedback if this is something I can help you create, love. Cheers to a summer of fun and a stress-free beautifully created brand. All you need to worry about is re-applying that sunscreen!